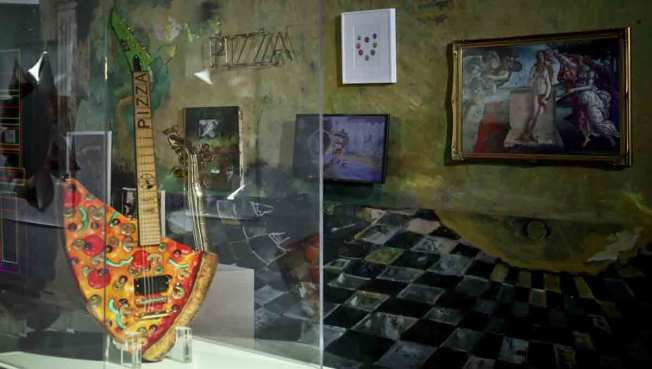 This Nov. 2, 2018 photo shows the "Pizza Guitar," from musician Andrew W.K., part of a group art exhibition celebrating pizza at The Museum of Pizza in New York. 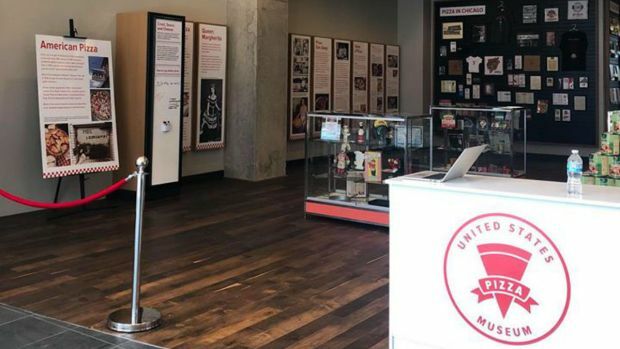 The U.S. Pizza Museum has opened in Chicago's South Loop neighborhood, and New Yorkers aren't happy about it. NBC 5's Sabrina Santucci takes a look inside. "The Museum of Pizza's target demographic isn't necessarily the same type of people that are making quarterly trips to the MoMA or the Frick collection or the LACMA (Los Angeles County Museum of Art) ", said Serio. "We're really putting fine art in a place that's easily accessible for a wide range of people."